Get ready to color like a muffin-hugger! From New York Times bestseller and all-around all-star Skottie Young comes the I HATE FAIRYLAND adult coloring book, as well as the first issue in a new story arc, available this June. Grab your colored pencils and contribute your own creativity to the irreverent Alice in Wonderland meets Deadpool-style epic featuring Gert—a six-year-old girl who has been stuck in the magical world of Fairyland for thirty years and will hack and slash her way through anything to get home. 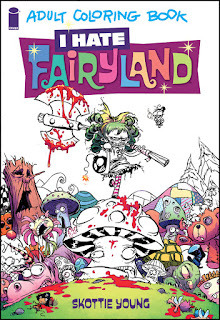 I HATE FAIRYLAND ADULT COLORING BOOK (ISBN 9781632158482) hits comic book stores Wednesday, June 1 and bookstores Tuesday, June 7, and will be available for $12.99. It can be preordered now on Amazon, Barnes & Noble, Indiebound, and Indigo. Get your creative juices flowing on this adorably twisted coloring book while you await the new chapter of I HATE FAIRYLAND, kicking off a brand-new adventure in issue #6 on June 15! What will become of Fairyland as Gert is crowned the new queen and how will that affect her thirty-year quest to return home? “The best thing about making this book is there are no rules!” he added. 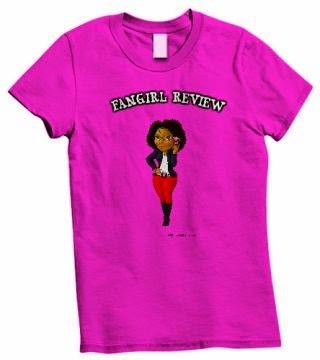 “You can’t trust a book with no rules and that’s where it starts to get super fun." I HATE FAIRYLAND #6 Cover A by Skottie Young hits stores Wednesday, June 15. 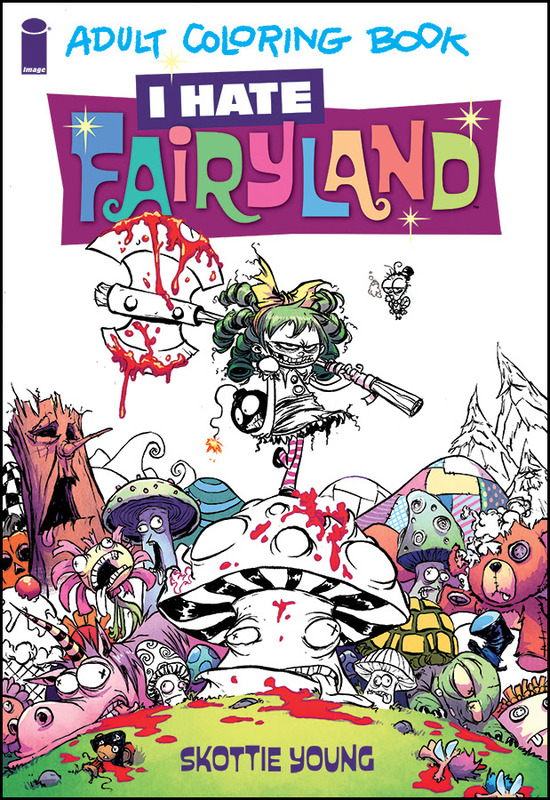 Explicit F*CK FAIRYLAND Cover B, also by Skottie Young, will also be available Wednesday, June 15.